The narrow-nosed beast was slightly smaller and more slender than T. rex, but was still a top predator, researchers say. It roamed the Earth more than 66 million years ago during the Late Cretaceous period, just before the space-rock impact that is believed to have wiped out the dinosaurs, according to a study detailed today in the journal Nature Communications. 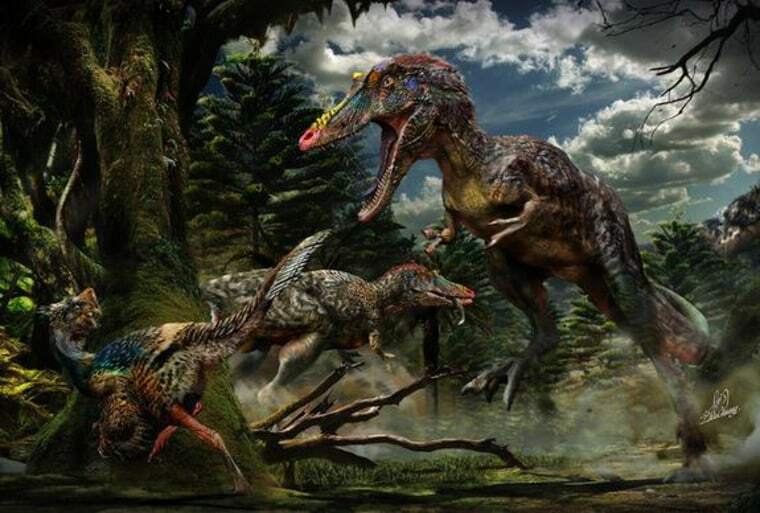 Researchers previously found the complete skull and parts of the neck, back, hind limbs and tail of the new dinosaur, Qianzhousaurus sinensis, at a construction site in the Nanxiong Formation in southeastern China. The new specimen had a long snout with many teeth, and horns on its nose. The creature probably weighed a little less than a ton and was probably 25 to 30 feet (7.5 to 9 meters) long, compared with a full-grown T. rex, which weighed about 5 tons and was about 40 feet (12 m) long, the researchers said. This is a condensed version of an article that appeared in Live Science. Read the entire story here. Follow Tanya Lewis on Twitter and Google+. Follow us @livescience, Facebook & Google+.